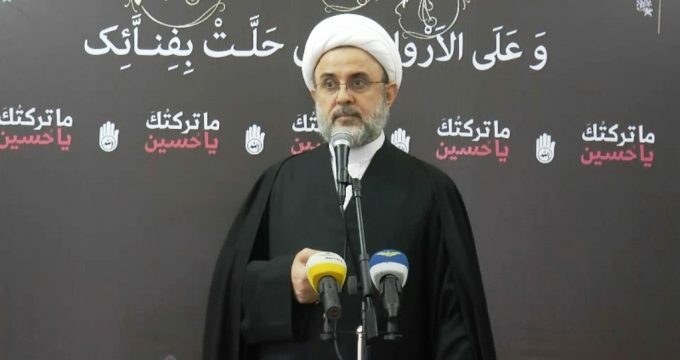 IRNA- The visit by US officials to the region will not cover up Washington’s regression in the Middle East, , member of the executive council of Lebanon’s Hezbollah Movement recently said. Sheikh Nabil Qavooq’s remarks on Sunday followed a visit by US Deputy Secretary of State David Hale to Beirut. ‘The visits will not change the balance created by the victories of the Axis of Resistance,’ the Qavooq said, according to the media in the country. He emphasized the United States will not make any political achievements against the Resistance in Lebanon. Qavooq went on to say neither trips nor remarks by the US officials can destabilize the balance created by the Resistance. He said by withdrawing military forces from Syria, the US has admitted its failure. It indicates US regression in the region, the Hezbollah official said. Hale began his trip to Lebanon Saturday night. Many see his visit to be part of US Secretary of State Mike Pompeo’s trips to the region to ratchet up pressure on the Axis of Resistance.